Joyce was the eldest of 10 children in his family to survive infancy. His early formal education was spotty, but he entered University College, Dublin, where he read widely and took an active part in the college’s Literary and Historical Society. He graduated in 1902 and went to Paris. Joyce’s real efforts during and after his college years went toward mastering the art of writing. To support himself while writing, he decided to become a doctor, but he soon abandoned the idea of medical studies, wrote several book reviews, and studied in the Sainte-Geneviève Library. Recalled home in April 1903 because his mother was dying, he tried various occupations, including teaching, and lived at various addresses, including the Martello Tower at Sandycove, now Ireland’s Joyce Museum. Although he had begun writing a lengthy naturalistic novel, Stephen Hero, based on the events of his own life, he interrupted the work to publish the stories that would make up The Dubliners (1914). Meanwhile, Joyce had met a young woman named Nora Barnacle and persuaded her to leave Ireland with him, although he refused, on principle, to marry. 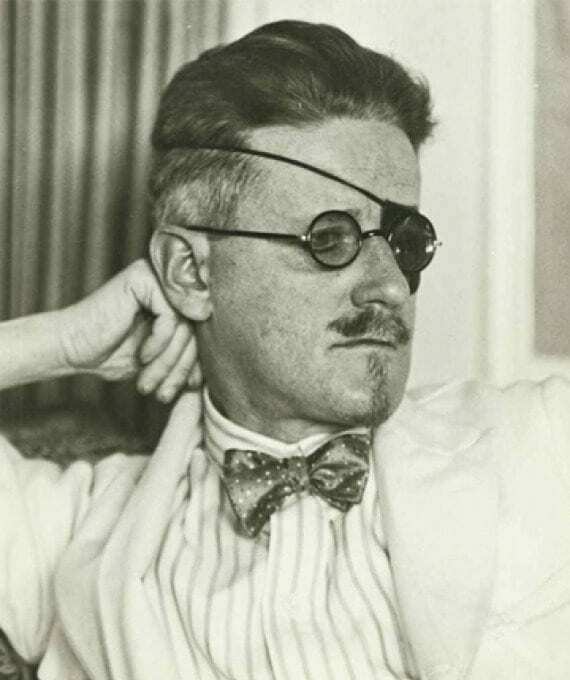 When Italy declared war in 1915, Joyce took his family to Zürich, where he first gave private lessons in English and worked on the early chapters of Ulysses. He was helped financially by a series of grants from which by 1930 had amounted to more than £23,000. He had to contend with eye diseases that never left him. From February 1917 until 1930 he endured a series of 25 operations for iritis, glaucoma, and cataracts, sometimes being totally blind for short intervals. A Portrait of the Artist as a Young Man was published in 1916 to great acclaim. Encouraged by the sales the American Little Review began to publish episodes from Ulysses, continuing until the work was banned in December 1920. In July 1920 Joyce went to Paris. Ulysses was published there by Sylvia Beach, proprietor of Shakespeare and Co. bookshop, in 1922. The book, already notorious for its censorship troubles, became immediately famous. “Joyce, James (Augustine Aloysius).” Merriam Webster’s Encyclopedia of Literature, Merriam-Webster, 1995. Literature Resource Center, http://link.galegroup.com/apps/doc/RN1480005018/LitRC?u=burn46801&sid=LitRC&xid=4c66c3b4. Accessed 16 Jan. 2019.